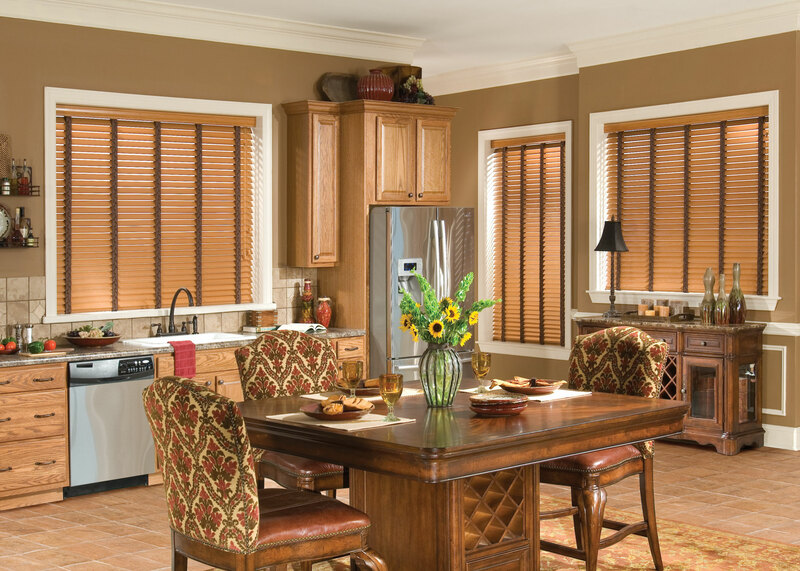 Window treatments have decorated homes for thousands of years. Even today, these pieces of interior décor are basically standard in homes around the world. Although the concept and use of window treatments don’t change, you can be certain that one thing does: style. Much like clothing, certain styles of window treatments and other pieces of interior décor become retired, making way for a new style that takes homeowners by store. Style is interesting because it has a ton of interesting variables, like location and time. Time, in particular, has often caused certain styles of window treatments to fall out of popularity and new ones to rise. This time is no different. Although we’re just three months into the year, time has taken its toll on the window treatment industry, ousting old and tired looks for new, inspiring styles to match the times. The place is the same – our home, beautiful South Florida. 2014 has seen subtlety thrown out the window thanks to big-print designs seeing a huge surge in popularity. Window treatments with pronounced floral patterns and intricate designs have taken South Florida by storm, making this a must have for anyone looking to update their window treatments. Organic window treatments made from bamboo and straw have also become popular, and we expect it to remain that way for a while. Homeowners become more conscious of their impact on the environment, and these organic window treatments provide a natural presence that skips a huge manufacturing step. Organic window treatments are a win-win for your home and Mother Nature. 2014 has also seen several nods to the Victorian era of centuries past. Gaudy window treatments made from exotic fabrics like velvet and silk have made a comeback, often accompanied by intricate designs. This fashion trend is great fit for older South Florida homes that can use more refined character. Minimalism is also becoming popular, which seems to contradict everything we know about the exotic South Florida culture. You can expect to see solid, clean basic colors with no patterns or additional designs in several homes throughout the year. If you’re looking for a trendy window treatment that incorporates contemporary style with your own flair, look no further than custom drapery panels and other custom window treatments handmade by a Florida Blinds & Drapery artisan. We can turn your vision into a reality and decorate your home with window treatments that are one of a kind and that will stand the test of time, no matter what the later months of 2014 have in store.